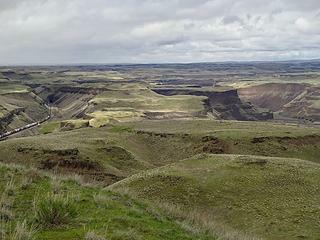 These are two Wa state parks located along the lower reaches of Palouse River where it joins the Snake and Tucannon. 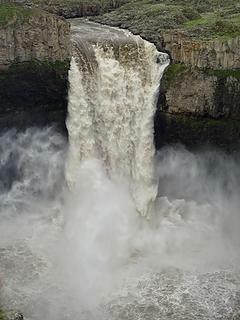 With historic high levels of water in the past week I thought it time to see the falls which I've never visited. I left SR 26 at Dusty taking highways 127 and 261 down through Starbuck and along the Tucannon River. It was pouring rain most of the way but stopped when I got to Lyons Ferry. I parked at the adjacent Habitat Management Unit and walked up the service road until an old two-track was visible heading up the slopes. 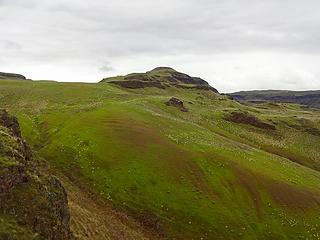 It is green right now and I felt a bit like I was in the Scottish Highlands. Fields of green. The rain finally let up when I started hiking. 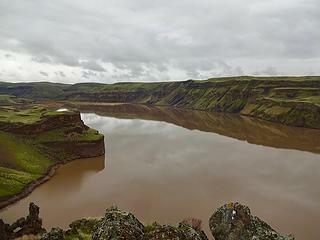 The mouth of the Palouse River is now a lake. 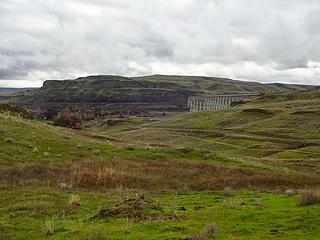 The Palouse River once flowed freely here. 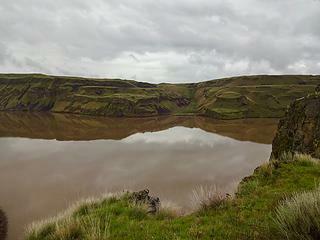 People lived in this area for more than 10,000 years. My goal was to walk up the highpoint in the area called 362 on the map. I figured there would be a good view from here and there is. 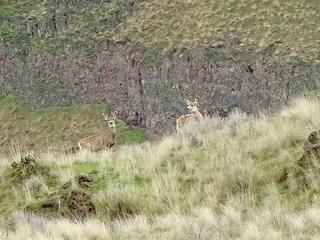 I walked up the slopes on game trails and spotted many deer along the way. It's quite green after the wet spring but will soon be brown. This was an old road but is becoming a single-track trail. A peak to be bagged, 362. 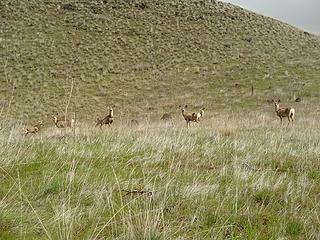 Plenty of deer around here. A trough and water collection system of some sort. 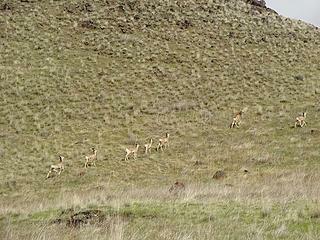 Following a game trail up 362. 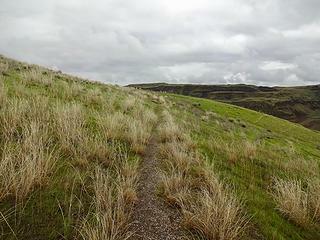 A coulee than runs parallel to my ridge hike. Train tracks pass through before entering a tunnel at the end. 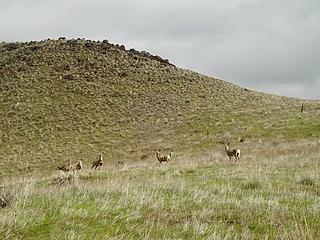 The area is open to hunting so deer are wary. I could see Marmes Pond which I didn't know much about. 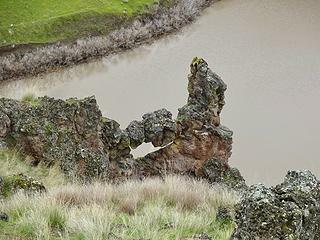 This was an attempt to prevent an important archaeological site from being inundated when dams were constructed in the 1960's. 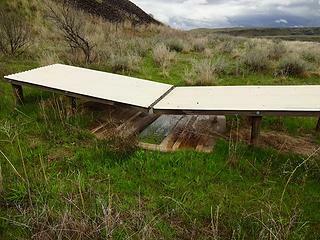 Unfortunately water was able to flood in anyway and the Marmes Rock Shelter is now part of a fishing hole. 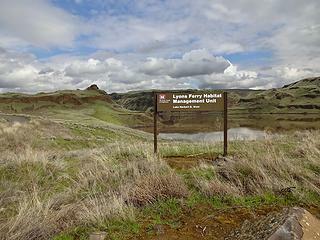 Lyons Ferry area. 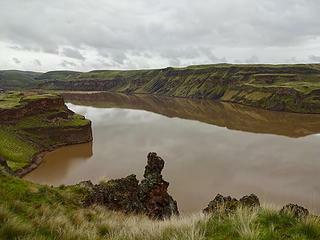 Three rivers join here; The Palouse, Tucannon and Snake. Marmes Pond. Marmes Rock Shelter is underwater there. 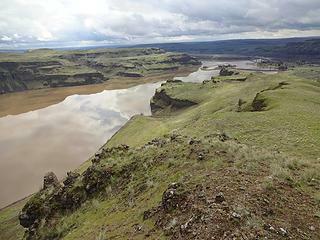 The Palouse River is directly behind. About to enter a tunnel. Lyons Head across the river above the trestle is where I'll be hiking later today. 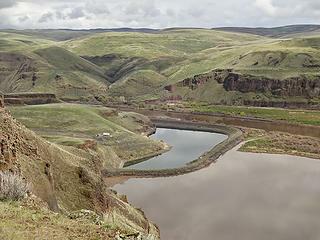 Water has backed up into the channel of the Palouse River since the construction of the Lower Monumental Dam. 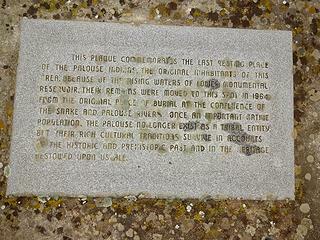 This area was noted by Lewis and Clark when they passed through here. Marmes Pond below which was constructed to prevent water from entering Marmes Rock Shelter where many ancient artifacts were discovered dating back more than 10,000 years. It ultimately failed and is now a fishing hole. On the way down I passed by Old Bones Cemetery. 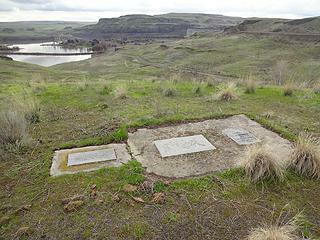 These graves were moved up from the area below which was also flooded by the dams. 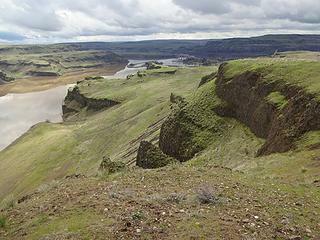 Lewis and Clark noted a sizable population here when they came by in the early 1800's. 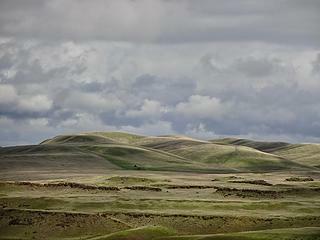 These people were known as the Palus and the word Palouse is said to be derived from their name. 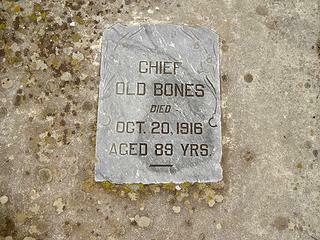 Old Bones Grave Site. 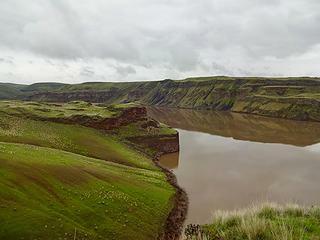 135 remains of Palouse Indians were moved here in 1964 when the Lower Monumental Dam raised the river level covering the original burial site. 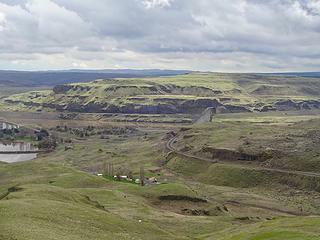 Being in the area I made a quick stop by Palouse Falls only 5 miles away. They are indeed raging right now. Trails were muddy and slick but folks seemed to not get too close to the edge. 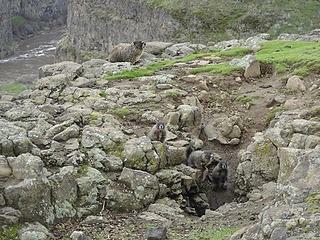 Marmots at Palouse Falls State Park. 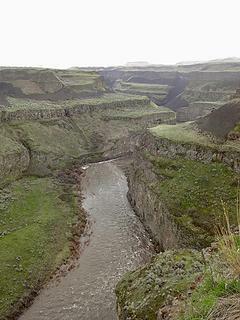 Palouse River below the falls. 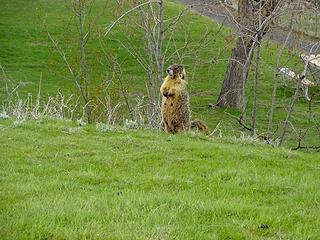 There are many marmots and their young living around the parking area. They seem unfazed by the people coming and going. 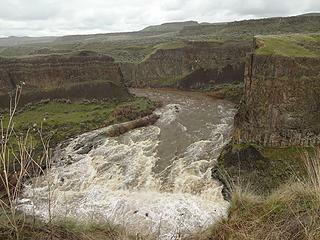 The Palouse River has been above flood stage this week. Looks like a perfect day for that. Very nice pictures. I really need to get out there. Nice. I've only been there once. I wish it was closer. Yellow bellied I'm fairly sure, unlike the hoary marmots in the Cascades. A lot concentrated in a few miles. I’ve wondered if solar electric farms could sometimes, some years, result in a net recharge of water table by similarly concentrating rainfall. Has straw based pulp mill at SW corner of confluence started up? 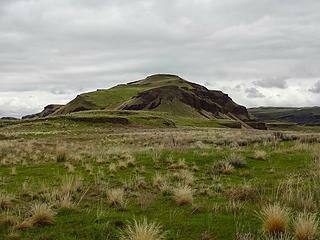 Love seeing green in the scablands this time of year. Those graves are very cool. Thanks for sharing! I'm not sure if it's up and running but they are hiring and must be very close. I wondered why all that straw was piled up in several locations in the area. Interesting project! We should be doing the same with industrial hemp. There is also a huge concentration of wind farms in the area. Thanks for the TR in my home territory. My wife and I try to walk that trail about once a month all year. It is fun to see how the vegetation changes over a years time. By fall the star thistle takes over and gaiters are required to keep out unwanted thorns in your socks. 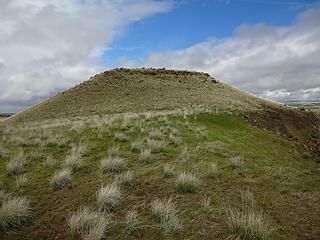 We call the hill "old bones" in honor of the graves below. 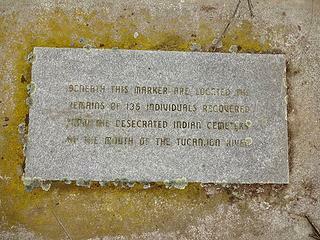 The"two track" is actually a gravelled pathway that used to be mowed over for easier access to the grave markers. It was just wide enough for a four wheeler. 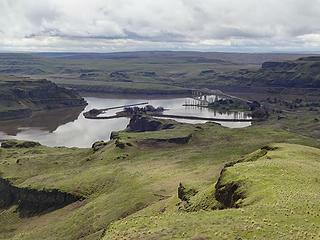 The Lyons Ferry bridge is actually the old bridge at Vantage that was disassembled and erected here. (The trip down to the Marmes site is nice. 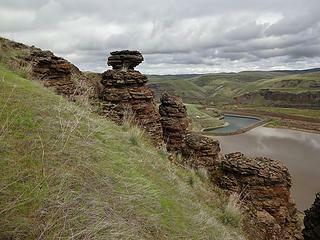 No fish there for the last 4 years, unless you like 30 pound carp living at the base of the cliffs in the Palouse river.) 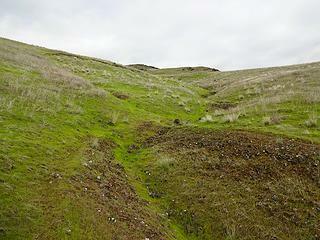 We have never run into anyone on this "trail" over the years we have hiked it. We would have been shocked to see you!!! Thanks glenoid. I'll definitely go back and hike out to Marmes Pond. The whole area is fascinating. Old Bones is a good name for that hill. 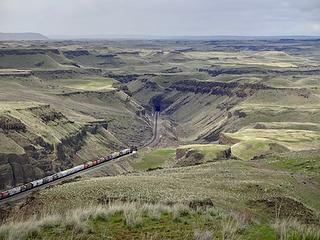 This article from the Seattle Times sheds much light on the area. 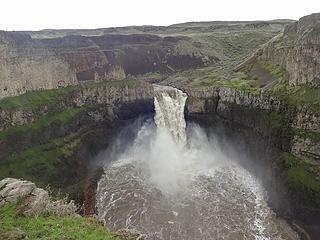 Amazing to see what the Palouse looks like in this season, Rich, especially the falls. Thanks for putting up such a comprehensive photo doc of your trip. Reminds me of my only visit there in June of '91 while on a cross-country road trip. Didn't see a single person when I was there, which ended up being an overnight in the back of my truck (probably wasn't legal). 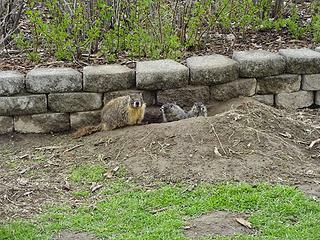 Weren't any marmot colonies around the parking lot then. A fun memory is of driving down the dirt road to the falls overlook, coming around a corner to find a herd of cattle blocking the road. My 60lb mutt was riding shotgun, and was so dumbstruck by the scene (he'd never seen a cow much less a herd), that he just stood there, quivering. Wish there'd been video cameras in phones then. That watering device is known as a wildlife guzzler. 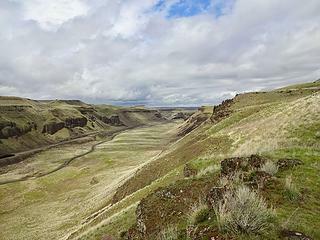 You can hike from Lyons Ferry all the way to Palouse Falls but you'll most likely need a shuttle vehicle unless you really want to walk. During wet springs it can be slick and there are some steeper portions to navigate. 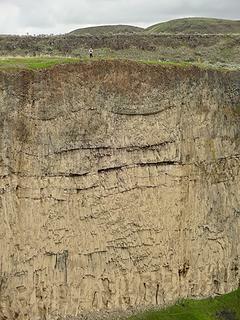 There is a group that does organized hikes in the scablands and this is one of their hikes. Thanks for that info. That would be a great hike. 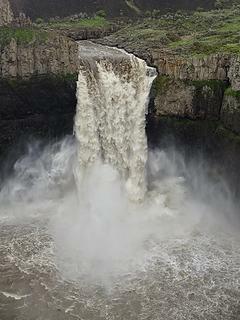 Great pics of the raging falls. It's been too long since I've roamed that way.